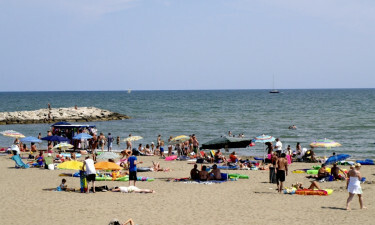 Camping Ca'Savio is located conveniently close to the tranquil shores of Cavallino Beach and provides an excellent opportunity for relaxation for the entire family. All types of luxury camping are catered to including luxury tents, mobile homes and bungalow tents. When we combine these factors with the fact that Camp Ca'Savio is situated within a tranquil pine forest, it is easy to appreciate this temptation. Should you have any questions or if you wish to reserve your spot today, please contact Lux-Camp for more details. 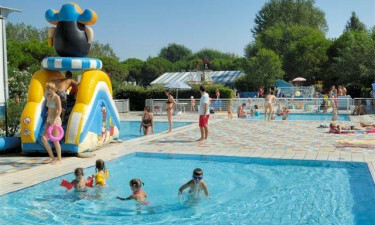 Camping Ca'Savio is located conveniently close to the tranquil shores of Cavallino Beach and provides an excellent opportunity for relaxation for the family. Thanks to a close proximity to large bodies of water, this luxury camping site will offer individuals and families a host of fun water-based activities. The white sands of the nearby beaches are complimented by sailing and surfing opportunities. Additionally, an open-air pool with both family pools and children areas provides endless fun for everyone at any age. The childrens poolarea has a piratship with waterslides and in another one of the pools a big waterslide is to be found with a big splashing fountain. Why should I consider Camping Ca'Savio near Treporti (400m) as my next holiday destination? When camping in luxury, many will choose to visit the local surroundings to get a better feel of the area. Thanks to a one-of-a-kind location, this has never been easier at Camping Ca'Savio. The Dolomite Mountains are located quite close to the site; spending a day amongst these majestic pink stones is not to be missed. Alternatively, visiting such artistic cities as Terviso, Verona and Trieste is quite possible during any time of the year. Why not spend some time absorbing these local sights during an upcoming camping holiday? A Luxury Camping Site Closer to Home Than You Think! As with many other modern holiday camping sites, the technological amenities offered are bolstered by on-site wireless Internet access. 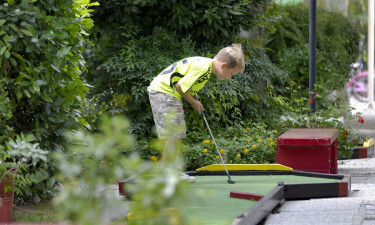 Children can be adequately entertained while you will be able to plan any upcoming visits to the nearby countryside. All luxury tents and mobile homes are equipped to handle this service. To learn more about these and other options, please contact Lux-Camp for a more in-depth look. 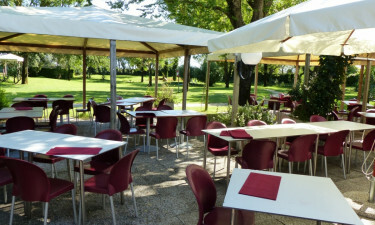 This holiday camping site provides access to a restaurant and a pizzeria. Typical Italian dishes as well as international delights can be found here. Also, a takeaway service provides hamburgers, hot dogs and many other courses. Bars known as Strada 37 and Strada 13 will likewise supply poolside cocktails and other delectable drinks. The local supermarket will provide any family with fresh provisions such as fruits, vegetables, cheese, milk and bread. Even gluten-free foods and baby mixes are available. A local bazaar will compliment these choices with personal hygiene items and products designed specifically for camping. All major credit cards are accepted and as should be expected, these facilities are located quite close to the luxury camping pitches.